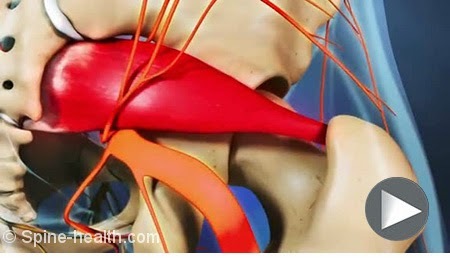 Right now I have Piriformis Syndrome and it hurts. If you’ve ever had sciatica then you’ll know what it’s like as this is a very similar experience. They even have a very interesting animated film about what it is should you wish to know more! This basically means moving is painful, sitting for too long is painful, standing too long is painful…see where I’m going with this! I’m *trying* to see the positives in this and work with it. Easier said than done! I have had this before so knew what it was when the paint started, but this time around I am still trying to figure out exactly what I was doing that caused it. B) Excessive and exuberant hula hooping. Since getting my hula hoop on 31 Dec I’d been hooping daily. C) Me realising I’m like a Hare and wanting to be more Tortoise – Universe took it literally and turned me into a tortoise by physically slowing me down. Not quite what I meant. D) Something I've done that I don’t remember...! E) A combination of all of the above? According to Dave my Osteopath – he thinks it is a combination of all of these things and as a result I've also trapped some vertebrae in my spine. My treatment yesterday nearly had me screaming the place down. I resorted to fast breathing instead which sounded rather comical, so then started to laugh - which, yep you've guessed it hurt! Gah! I've been taking painkillers (which I try to avoid taking at all costs usually) am doing my piriformis stretches, applying heat treatment (read as hot water bottle strapped to my back – erm rather like a shell!!) and trying to take it easy and not overdo it. I know it will get better. I just need to let it and not rush it. It’s only when this strikes do I appreciate how mobile I usually am even with the restricted movement and limp I have as a result of the stroke when I was 12. I've also realised as I can’t sit in the same position for long or stand for long I’m being much more selective about the things I’m getting done. So in a funny way it is helping to focus my mind (not that I’d suggest this as a way to achieve focus!) It has also meant I've got some things done that I’d been putting off. As I work from home this also means I’m thankful to be able to structure my day around this so I can still run brainstorming and coaching sessions. Hurrah!! And when Mr CA comes home I’m being very well looked after. The Puppy and Timmy Cat are also doing their bit, well trying…I read somewhere that a cats purr can heal bones?? Maybe I need to strap Timmy to my back rather that the hottie bottie. Now there’s a picture…! All blessings in disguise? I’m thinking so. Whilst that doesn't take the pain away writing this has made me realise that I am still being productive and maybe in a more ‘tortoise like way.’ So in effect I got my wish, not quite as I'd expected though. Note to self - Be more careful what I wish for! Whatever situation you are I right now – can you look at it from ‘outside’ and can you see any little gems of usefulness? You might need to dig deep.